Keeping in tune with the super-private, highly guarded birth of their baby, Blue Ivy, Beyoncé and Jay-Z outsmarted paparazzi with an elaborate 1:30 AM getaway from Lenox Hill Hospital on Tuesday. Described as "military-like" and using more than one SUV with blacked-out windows, the hip-hop couple made a speedy exit from the hospital's back loading dock. A witness noted that the strategic transportation plan was "very precise." Blue Ivy was born on Saturday night at the Upper East Side hospital under tight security, which included sealing off the floor and installing a bulletproof door to Beyoncé's recovery room. The superstar couple's arrival and stay at the hospital affected other visitors and new parents -- as they were reportedly kept away from seeing their loved ones. It created a backlash directed at the hospital for going overboard in protecting the privacy of Beyoncé and Jay-Z. Several visitors have come forward to complain they were not allowed to visit their newborns and were blocked by large security guards who roamed the area. 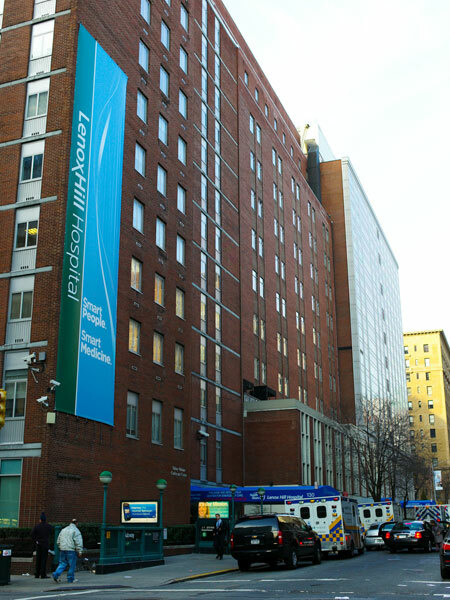 The hospital has not received a formal complaint about security measures and released a statement on Monday that read: "Lenox Hill Hospital takes patient privacy and safety very seriously. And while we congratulate the Carter family on the birth of their child, we value the loyalty of ALL of our patients and always strive to ensure a positive experience, knowing that the birth of a child is a wonderful moment producing memories that last a lifetime." Meanwhile, Blue's first public photos are speculated to fetch upward of $1 million. Jay-Z's given name is Shawn Corey Carter. Jay-Z and Beyonce were named a "Power Couple" in Time Magazine's list of the 100 Most Influential People of 2006.